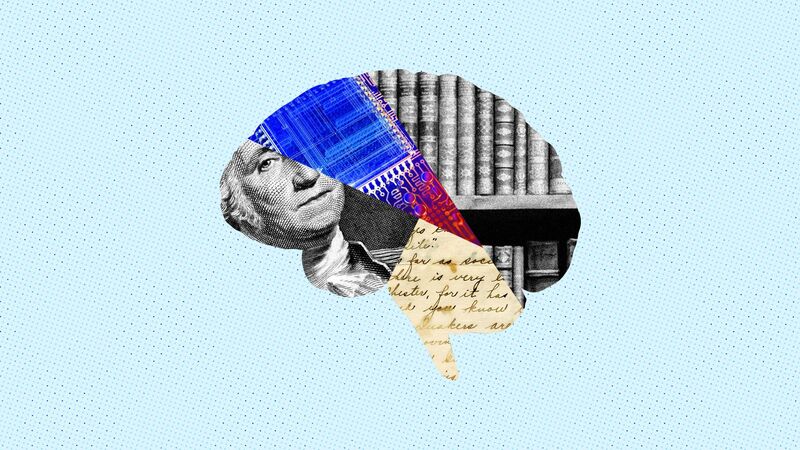 Axios' Kaveh Waddell reports: At a time of a fierce U.S.-Chinese rivalry for AI supremacy, academic critics accuse Big Tech of luring away university talent with high-dollar contracts, then focusing research not on big scientific questions, but on what bolsters their bottom line. The U.K. faces the same problem, with Silicon Valley companies raiding its universities for AI specialists, reports Hannah Boland of the Daily Telegraph. The other side: Jitendra Malik, a longtime Berkeley professor, joined Facebook’s AI research lab earlier this year, but says he doesn't feel guilty. "I feel like I have paid my dues to academia," he says. Conducting research at a corporate lab means less time chasing grants plus access to bountiful data and computing power. Some companies, like LinkedIn, also offer up slices of their data for academics to use. The report, issued yesterday by a broad-based group assembled by the Institute for Public Policy Research, criticizes an economy that works better for British investors than company employees. It has attracted heavy coverage in the British media. As North Korea haggles over when it will eliminate its nuclear weapons assets, it may be playing for what it can get in exchange while already pivoting to a very different, equally dangerous weapons regime — cyber arms. What's going on: David Maxwell, a retired Army officer and an expert on North Korea, tells Axios that any key American adversary — China, Iran, Russia or North Korea — is likelier to use cyber than nuclear arms in any war with the U.S. The U.S. Justice Department today announced that it has filed cyber-hacking charges against Park Jin Hyok, an agent for North Korea's military intelligence arm, Axios' Joe Uchill reports. The charges involve the hacking of Sony Pictures in 2014. Park is linked to two other major cyberattacks as well — the WannaCry virus that last year infected computers around the world and a 2016 attempt to steal $1 billion from Bangladesh Bank. The big question: "What if they are giving up their nuclear weapons because they have greater capability in cyber?" Maxwell asked. "Are they shifting their strategy focus to cyber?" "Nuclear weapons aren't of practical use," he says. "But cyber is valuable, practical and useable. You can steal money and take down energy infrastructure." With WannaCry and the Sony Pictures attacks, "North Korea is conducting reconnaissance. They are seeing what they can get away with." In a statement today, South Korea says North Korean leader Kim Jong-un had given his first timeline for denuclearization, saying he wanted to complete it during President Trump's first term, Reuters' Hyonhee Shin and Susan Heavey report. After Fisher's invention, demand for professional laundresses plunged. Chart: Michael Osborne's Twitter account. 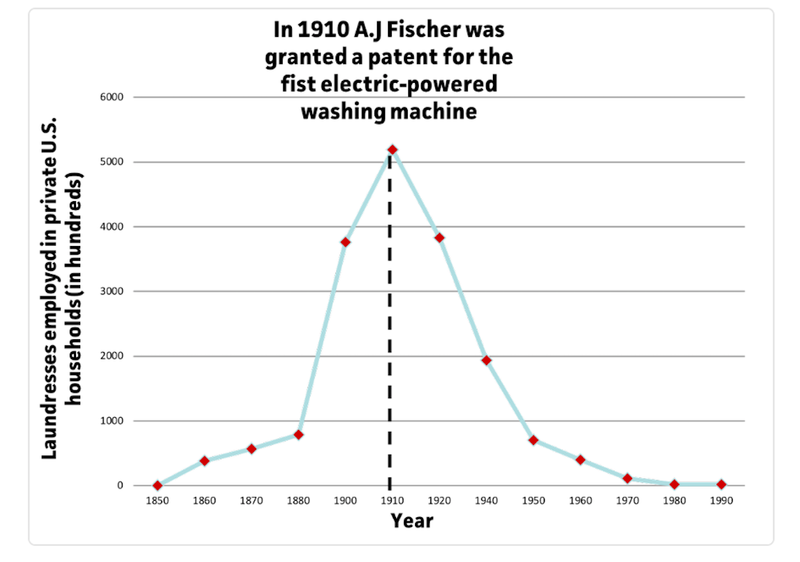 In 1910, a Chicago engineer named Alva J. Fisher was awarded a patent for his invention of Thor, an electric-powered washing machine, and forever made fools of prior bets on the job prospects of professional clothes launderers. This history came to mind Tuesday for Michael Osborne, an Oxford economist and co-author of perhaps the most-cited contemporary paper on the future of work. Why it matters: Osborne suggests it shows why forecasts of the jobs future — many of them couched in ultra-certain terms — merit scrutiny. In a tweet, Osborne argued that — if you rely only on data and trends — you might go dreadfully awry forecasting the future of automation and employment. His proof — the fate of laundresses before and after Thor: "Imagine yourself in 1910, trying to forecast the future prospects for laundresses," Osborne said. That was by explanation why, in his work, he uses both data and expert forecasts, he says in a prior thread of tweets, also on Tuesday.